Lorraine Has been At the Manor Several times in the past couple of years. 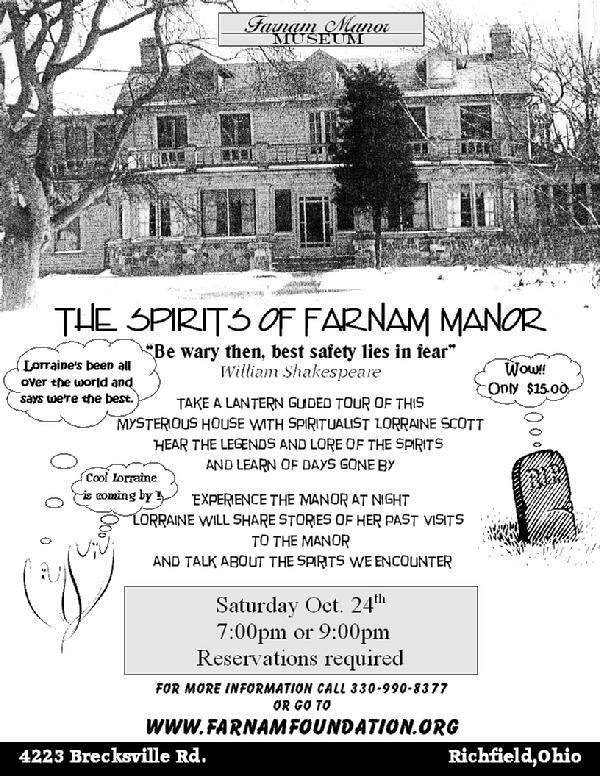 She has given us great insight into the spirits that make the Manor their home. "I've really been many places all over the USA, Canada, England, Bermuda and Mexico, but your house is one of the more interesting places I've been. Thank you for an excellent tour as my friend and I thoroughly enjoyed it."